My proud (and relieved) students after their spring recital in Edina. Piano lessons in Southern Minnesota, Concert pianist and teacher Loren Fishman offers professional piano lessons for kids and adults in the area of Northfield MN. If you are looking for the best piano lessons in Northfield, you have come the the right place. Loren Fishman is the best teacher that Northfield has to offer. He is a professor at Carleton College, and holds a doctoral degree in piano performance. He has been teaching piano lessons for over 10 years and is the best and most experienced piano teacher in Northfield, by far. I would highly recommend taking piano lessons with him. I offer piano lessons for students of all ages levels. Piano lessons in Faribault MN. Also, Loren Fishman is the best piano teacher you will find for piano lessons in Faribault. 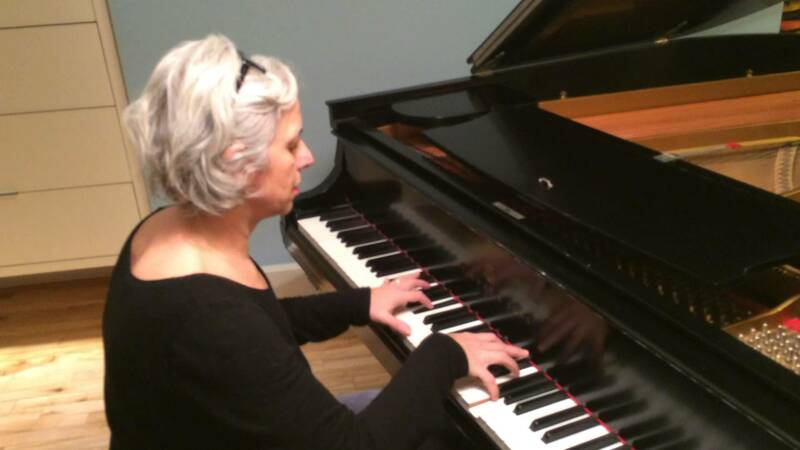 There are many piano teachers in Faribault MN, but the best is definitely Loren Fishman. His technique as a teacher and rapport with both children and adults is unmatched as far as we have seen. Piano teachers are numerous in Faribault; however, the most accomplished and professional, serious teacher we have been able to find is Loren Fishman. In the areas of Lakeville and Apple Valley Minnesota, we also recommend lessons from this site. You can apply for piano lessons as a resident of Apple Valley or Lakeville and start studying piano right away. We offer the most comprehensive and professional course in both Lakeville and Apple Valley locations for piano lessons that you will be able to find. Affordable and high quality piano lessons are our business. Piano lessons in Burnsville Minnesota. If you want to take piano lessons, and you are a resident of Burnsville, I would strongly recommend our service. I offer piano lessons to students wishing to learn piano, particularly classical piano, and who live in Burnsville Minnesota. The entire southern Minnesota area, including Burnsville, Lakeville, Apple Valley, Farmington, Faribault, Northfield, and Owatonna, are included in our service area for piano lessons. Just get in touch via our contact information here and I will get right back to you about starting piano lessons in your area today. I offer piano lessons for students of all ages levels. All lessons are individually tailored to accommodate each student’s needs, level, and ambitions. I provide a positive and enthusiastic atmosphere for learning, and it is my goal to guide each student towards musical independence by providing a well-balanced approach. To learn more about my approach to teaching and piano playing in general, please read my teaching philosophy. My piano studio is located in Northfield MN and is convenient for anyone located in the southern Minnesota area, including Burnsville, Lakeville, Apple Valley, Farmington, Faribault, Owatonna, and Rosemount. Regardless of age, level, or musical background, I am open to new students who are ready to get started on the fascinating and enriching journey of learning the piano. Students agree to arrive at each lesson punctually, well-prepared, with clean hands and short finger nails. To make good progress, daily practice is necessary. Consistency is the key to improvement, and we’ll thoroughly cover practice strategies in the lessons. All students, regardless of age and level, play at our studio recital, usually held at the end of May. Students are also encouraged to participate in additional recitals through MMTA (Minnesota Music Teachers Association) or various other competitions and performance opportunities. Students must have access to an acoustic piano. Weighted, touch-sensitive keyboards are adequate for the very first stage of piano study, however, fingers do not develop strength or sensitivity on electronic keyboards that lacks resistance. Always contact me if you’re on the verge of purchasing an instrument. I will make an effort to visit to location of the instrument you’re interested in so I can try it out and advise you. Learning to play an instrument can sometimes be frustrating, but remember that many small steps throughout the year yield great results! So please encourage consistency and positivity. Parents are welcome to attend lessons at any time. Please check your child’s lesson notebook weekly for assignment details and pertinent information. To help your child develop self-discipline and good practice habits, set aside a regular time for practice each day (this can be done all at once or divided into two or more daily practice sessions). This time should be reinforced and respected by the rest of the family. Especially younger children need help with their practicing. I recommend that parents practice with kids to keep them on track until they are about 10 years old. It is best to have a place in your home that is fit for quiet and uninterrupted practice. Provide a practice environment that is free from distractions (family, friends, TV, computer or phone). I offer piano lessons for adults of all ages, backgrounds, and skill levels. Maybe you took piano lessons when you were younger, and regret giving it up, or you are already an advanced player wanting to take your skills to the next level. Whatever your circumstances, we can work out an individualized plan that will allow you to reach your musical goals. Piano lessons take place in my home studio in Northfield, MN. If you would like lessons in your own home, it can be arranged with a rate adjustment depending on mileage. For younger children, I usually recommend a 30 minute lesson. For adults (beginners included) and more advanced children, I recommend a 1 hour lesson. Effective practicing is more about focus and consistency than about hours spent sitting at the piano. Practice time also depends on your level and the amount of material you have to work on. On average, however, between 30 minutes and 1 hour of practicing per day is usually adequate. I am very flexible about rescheduling lessons as long as there is a legitimate need to do so. If you give at least 24 hours of advance notice, we can usually find a good time for a make-up lesson. What books do I need to buy? Lesson materials depend entirely on your individual needs and goals. We will discuss the books and materials that are most appropriate for you at your lesson. The first lesson is very informal, and mainly a chance for us both to see if we will be a good “fit.” If you are a complete beginner, you do not need to bring anything but yourself. If you have some experience, anything you are comfortable playing is a great place to start. I’d love to talk more about starting piano lessons with you! Feel free to drop me a line and let me know how I can help.